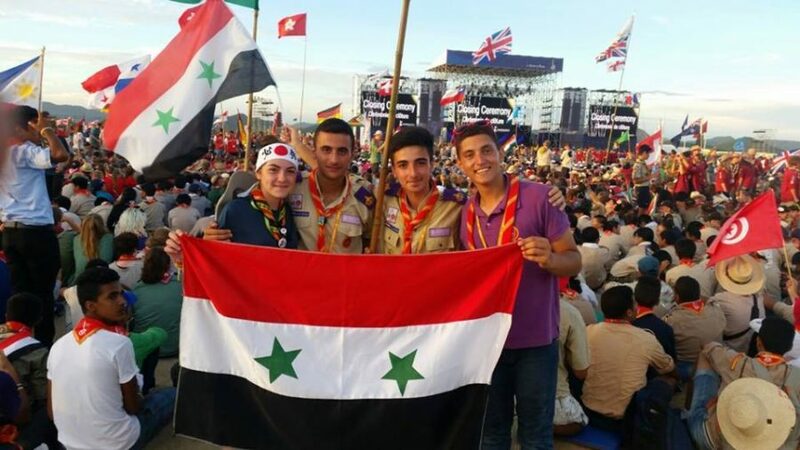 Last summer, scouts from 150 nations around the world gathered on Kirarahama Beach in Yamaguchi, Japan for the World Scout Jamboree; I was fortunate to be one of the 40,000 in attendance. One of the first foreign troops I visited was the Syrian contingent—a small group of no more than eight Syrian scouts. Eight sets of eyes warily eyed the American flag patch on my bag and my strange uniform as I, the first American they had ever seen, walked into their campsite. We soon began exchanging patches, neckerchiefs and other paraphernalia, but the interaction was brief because the Syrians had very few items to trade. After returning to my campsite, I encountered them rarely, if at all. Halfway through the jamboree, however, I met Roy Alcheikh. In line with my interest in international relations, I bombarded him with questions about daily life amidst the Syrian Civil War. Before knowing Roy, I naively assumed that all Middle Easterners fit the ignorant stereotype of the religious fanatic, intent on destroying the American people with his oil and terrorism. But Roy’s stories took me straight into that community, half a world away. What I saw on the news was what Roy continues to personally witness. Over five years, the Syrian Civil War has killed 340,000. Roy has lost family members and neighbors in the fighting. He has witnessed countless rocket attacks, airstrikes and urban combat around his home. Growing up in this setting, Roy has to be prepared to defend himself and his family if necessary. His two older brothers have joined the local pro-government militia that supports the Syrian Arab Army in engagements and skirmishes near his home. After I returned to the States, Roy continued to send me updates from the frontlines of the war. I was getting information about recent air strikes, incursions from the rebels and counterattacks into rebel held territories by the Syrian Army. I now have better insight into the reality of this issue: blaming all Middle Easterners for the actions of groups such as al-Qaeda and ISIL is akin to blaming all white Americans for the actions of the Ku Klux Klan or the Westboro Baptist Church. Yet one of the hardest parts of maintaining a friend- ship with Roy is still the political differences that separate our two countries. While the U.S. is not officially involved in the Syrian War, airstrikes from American planes, Central Intelligence Agency militant training and Special Operation raids still perpetuate the war in Syria. American intervention is a heated issue in our friendship; it sometimes threatens to tear our friendship apart. Similarly, on a global level, countless resolutions have failed to end the war. Despite the efforts of the United Nations, the International Red Cross, the North Atlantic Treaty Organization (NATO), the Arab League, Russia, Iran, China and many other nations, the fighting still continues in Syria. I still maintain hope that the war will end soon. But before it does, a lot more people are going to die.